Ted Baker is usually on most of our Christmas lists, in our household anyway, we always have Christmas with Ted. I’m that girl who walks down the Boots Christmas aisle, getting increasingly more and more excited over the beautiful gift sets. 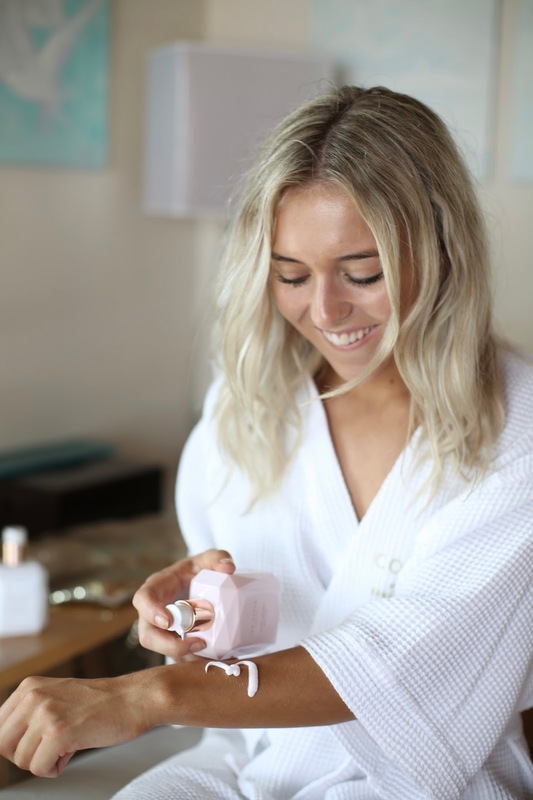 Today I wanted to show you a few of my favourite Christmas products from The Ted Baker collection in the hopes that it inspires any Christmas shopping you may be about to do, I also thought I'd give you a little look into my Christmas pamper routine because I swear by it. Christmas for me is the one time of the year where I sit back, relax and have a serious pamper. 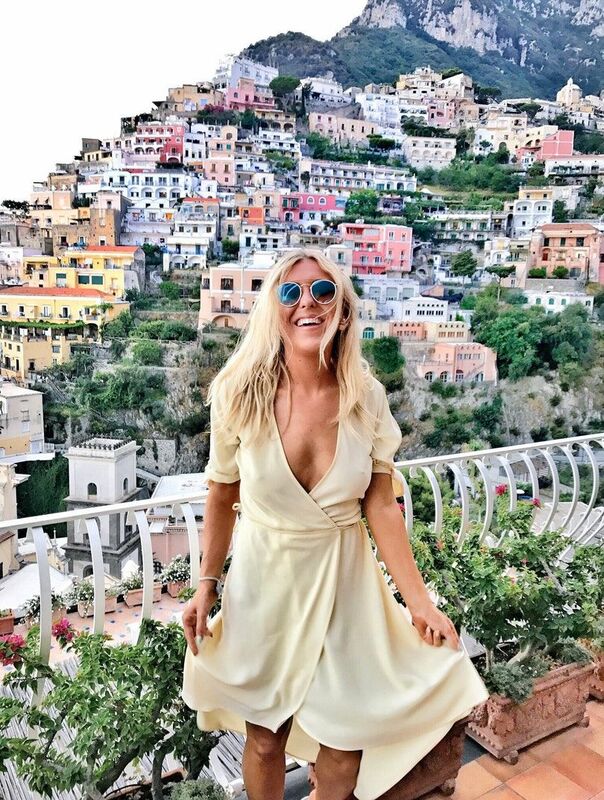 This is the first in my series of Christmas gifting posts and I’m so excited. I absolutely adore Christmas and all things festive eek. This is in partnership with Ted Baker. I thought I'd give you a little peek into my pamper routine come Christmas time. I know this is a little early but hey, there's never a wrong time to be festive, scrooges, look away now! December 24th - As soon as it hits December 24th, I get my hair done. I absolutely love having a blow dry for our annual Christmas eve meal. Christmas eve is probably the most important date for my family during Christmas time. We all get together and enjoy a meal and it's the one day a year where we are all together, with no stresses just catching up about the past year. It's my birthday on the 22nd of December and this year I plan on having a big old pamper on that date too. More on that closer to the time. December 25th - On Christmas day, I don't get up early anymore, I know some people love it but I see it as the one day a year with no emails so I just sleep. By around 9.30am I am up and ready to open my presents, in my pyjamas. My idea of the perfect pamper day on Christmas day is just staying in my pyjamas all day, with my hair on my head and the only care in the world? Spending time with my loved ones. As soon as the clock hits 8pm, I get into the biggest bubbly bath you've ever seen, coating myself head to toe, or Ted to Toe in this case, with new Christmas pamper products. Of course the Christmas candles come out. December 26th - The boys go to football so it's usually another day designed for girl time, Mum and I will clear the whole house out, it's so therapeutic and then it's face mask time! If you're wondering who's going to be joining me this year for my pampering, well, it will be Ted. Let’s start with talking about how luxurious the packaging is this year. I’ve always thought Ted Baker is a grown-up brand, but the Ted Baker fashion print which is seen in different variations the Christmas products is named ‘Porcelain Rose’ and it’s truly stunning, it oozes class. I’m a lover of pink but not too much pink and this is such a classic reimagination of Ted’s signature floral print with a special Christmas twist. I was blown away when I opened up the magical boxes. Ted has always been stylish, but this year especially so. The best bit? These beautiful boxes can be reused as a stunning ‘keepsake’ boxes for makeup, Christmas cards or whatever you fancy, after the products have been used. I know I'll be storing all my bits and bobs in mine. Firstly, the Ted Baker The Porcelain Rose Garden Toiletries Collection. My rule in Winter? Have as many bubble baths as possible and that's not exactly hard with such beautiful little bubble baths. This collection contains all you need to sparkle from Ted to toe - I love it. The body lotion quickly sinks into the skin leaving a pearly soft finish without that stickyness you sometimes get some moisturisers whilst the bubble bath is sure to give you the best bubbles this Christmas, soft bubbles that almost moisturise your skin as you soak. I'm a sucker for big bubbles. From Friday 1st December – Thursday 7th December the Ted Baker The Porcelain Rose Garden Toiletries Collection goes into Boots Star Gift promo, instead of £50 on normal pricing the ‘Star Gift’ price turns to £25. Nothing relaxes me like a hot, steamy bubble bath and then knowing I can continue pampering after the bath with a new moisturiser. The body washes are incredible, they feel so luxurious and silky on the skin and instantly make me feel hydrated. For me, this is the perfect New Years eve pamper pack, with an eye mask for that much needed beauty sleep and shimmer body wash for a winter glow. I’m a sucker for a pamper, as you probably know by now and for me, a good scent makes or breaks it. Not only is the packaging absolutely stunning, but they smell divine too. Often, packages look great but what about the scent? Blush Pink - A soft-yet-impactful floral fragrance entwines subtle notes of cassis with sparkling grapefruit, mandarin and mango. The sensual heart blends neroli and jasmine with tuberose, cyclamen and muguet, while the base accord of patchouli, sandalwood and powdery musk completes the scent. Pretty Pearl - A fruity-floral fragrance begins with blushing red fruits and peach. The heart elegantly unfolds with notes of sweet violet, soft rose petals, patchouli and warm sandalwood. The scent is finished with an intense base of musk and raspberry leaf. Opulent Petal - A sophisticated woody-floral fragrance opens with bright citrus and green notes of apple and violet leaf. The heart blends Arabian jasmine, orange blossom and fragrant ylang, melting into a base of silky vanilla, deep patchouli, spicy black pepper and just a hint of clove. Within the gift you’ll find all three of Ted’s Porcelain Rose fragrances which is a bonus, you can try choose a favourite then or maybe all of them! 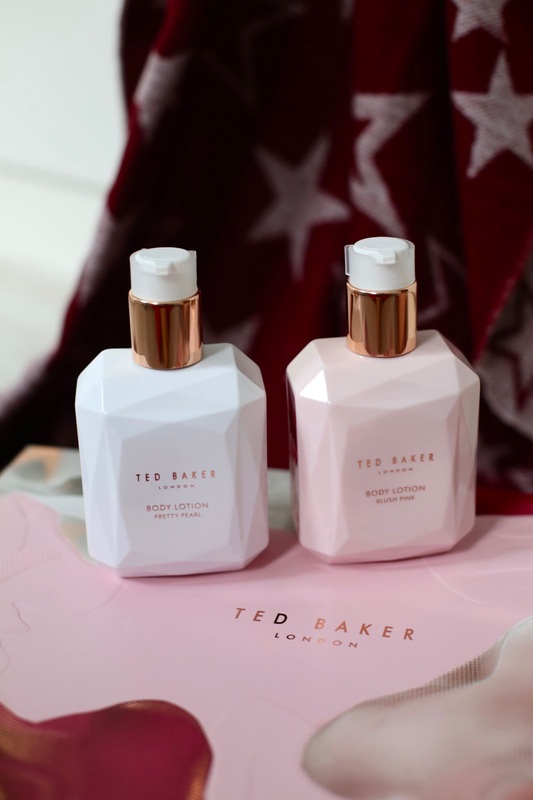 Available exclusively from Boots, buy your Ted Baker gift sets online here. Do you like special Chritmas gift sets like these ones? Do you get Ted Baker Christmas sets every year? Do you like the look of these? *Sponsored by Ted Baker but as always, my honest opinion.